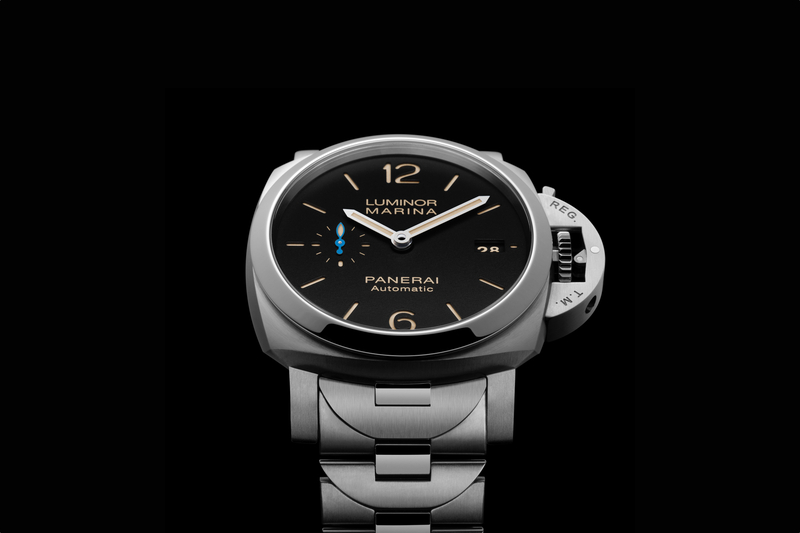 In January, one of the new models that Panerai will launch at SIHH 2016 is a new white dial version of the Radiomir 1940 3 Days Automatic Acciaio. 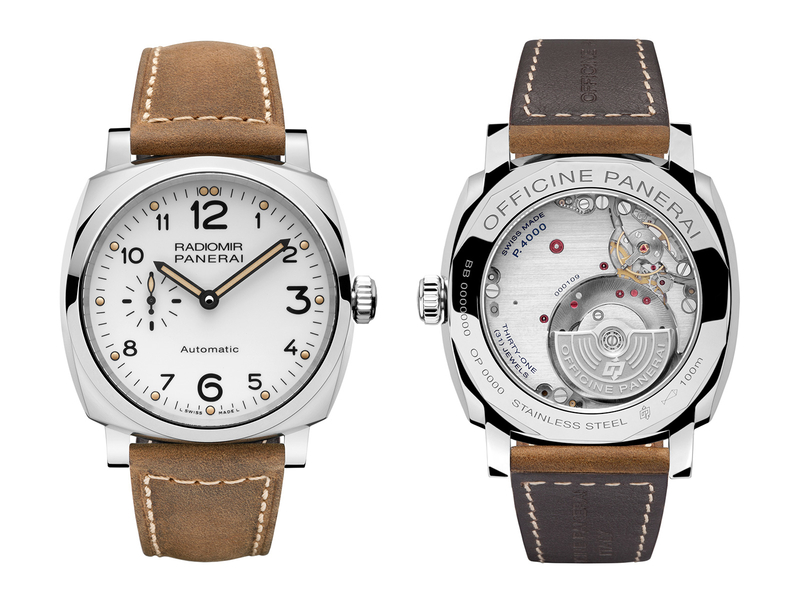 Presented in a stainless steel Radiomir 1940 case, the watch measures 42 mm x 10.93 mm and has a fully polished finish. 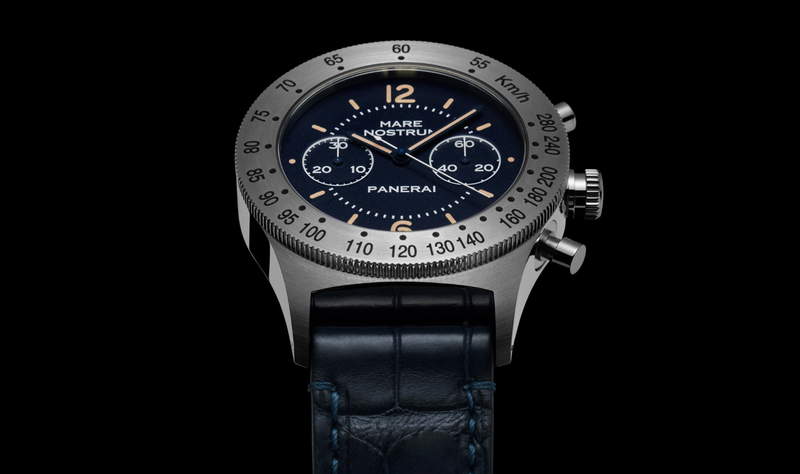 The steel crown is also polished and features a relief engraving marked “OP.” Water-resistance is 100 meters. 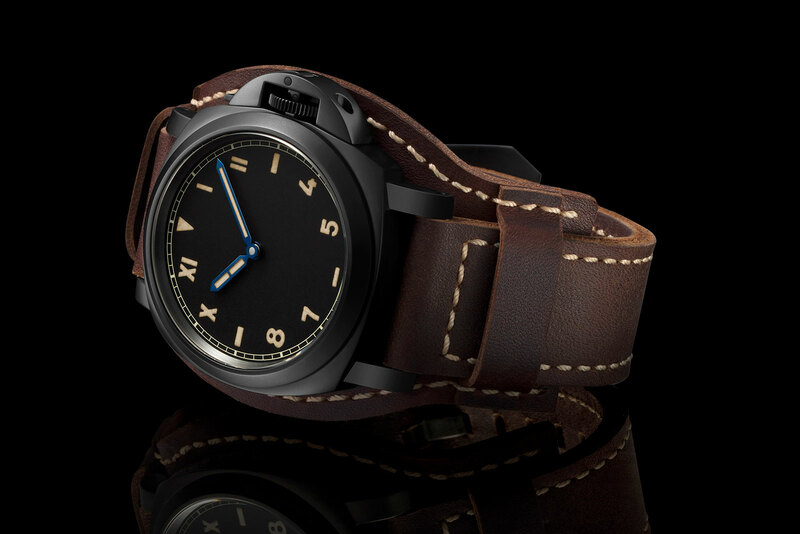 Large black printed Arabic numerals stand out against the bright white background of the dial, enhancing legibility. And at night, the generous amount of (vintage-colored) luminescent material further enhances the hour, minute, and small seconds hands, as well as the hour markers. A clear caseback offers a view of the tungsten micro-rotor, industrial-style brushed bridges, regulating assortment, screws, and various components of the caliber P.4000 in-house movement. Twin mainspring barrels, in series, are good for a power reserve of 3 days (72-hours).